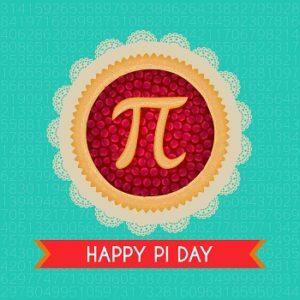 As a technology company, we have to admit, Pi Day is something we can get behind (and many of us at TDS celebrate, just for fun). To be clear, Pi Day is not to be confused with National Pie Day (traditionally celebrated January 23)—although the celebratory cuisine of choice is often the same. Pi Day is celebrated on March 14 (3.14) every year since the Greek letter “π”, used to represent the ratio of the circumference of a circle to its diameter is approximately 3.14159. It’s a holiday celebrated and enjoyed by geeks and foodies lovers alike! Play a round of Eye Spy for things that are round—including popular logos you might spot (get it? Spot??). Find out what U.S. city has the 31415 zip code. Find out what city has the 314 phone area code. Name all the sports that use round balls or spheres to play (don’t forget hockey!). Find out who was born on Pi Day. Have a pi memorization contest. See how many places you and your friends/family can remember. Get out and run, walk, or bike pi – 3.14 miles or kilometers (or convert miles to km and go 5.05 km). Now, onto food for Pi day. Given the name, as you can imagine, pie is the food of choice. 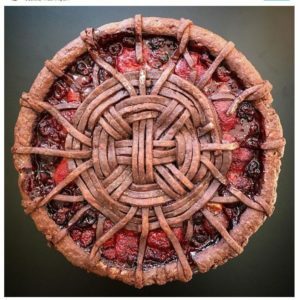 If you’re not a regular pie baker or are looking for something to try, Food Network is always a great source. They’ve got, no joke, 1,577 pie recipes! Since it’s almost St. Patrick’s Day, why not do a twist on something green with a Key Lime pie? Joe’s Stone Crab’s recipe gets five stars with reviewers saying it was the “best key lime pie I ever had” (and one person even made it for Pi Day J ). If you’re not into fruit pies (same here! ), check out this Chocolate Peanut Butter Pie.With an Oreo crust, it certainly looks deserving of the 134 five-star reviews. Want something hardier, make pie for dinner! No, not a sweet pie (although you’re an adult so you could totally do that 🙂 )—a Cheesy Bacon Tater Tot Pie. (image: Food Network). 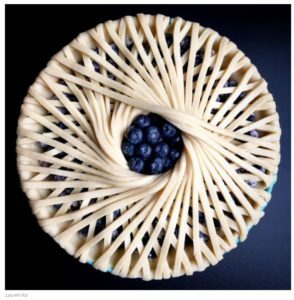 For some pie inspiration (“pi-spiration”? ), you’ve got to check out Lauren Ko’s efforts. Her Instagram account is a serious WOW (photos below are hers).